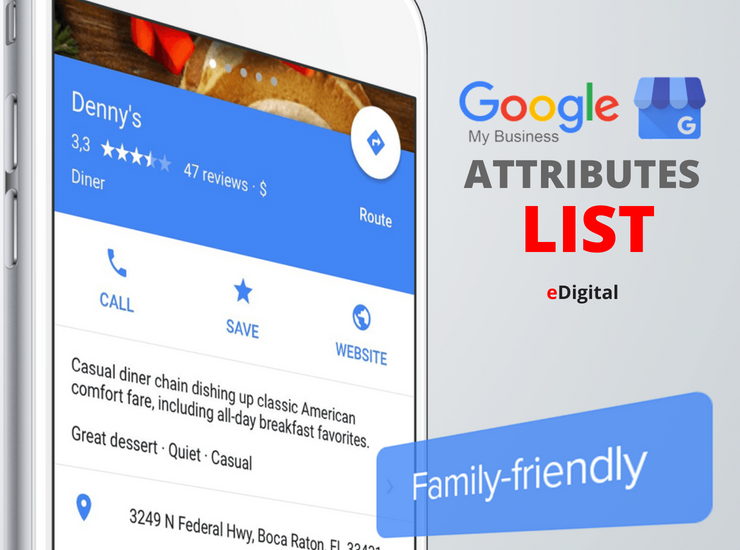 Get the latest and complete Google My Business attributes list today. Written by MAU. Digital Marketing Specialist at eDigital. The most optimal, efficient and fastest way to published business locations on Google Maps is via Google My Business. The good news is that Google allows to import a list with all the attributes so you do not have to manually do it one by one. Fill in our Google My Business Attributes List and then import it into your Google My Business. Our list not only will save you heaps of time but also if you are a consultant or agency you can send it to your client for them to fill it in and pass it to you. Our list has been carefully crafted on Microsoft Excel. The sheet list all 3950 business categories for you to choose from and the 91 attributes you can add to each location. Once payment is completed we will email you the sheet in the next 24 hours. Then, you can start filling all the info in. Once you have added all your store locations information, then you can import it into Google my business. If all these process is too complicated for you, please contact us, we can set up all your locations on Google My Business so they all appear on Google Maps.